Usually Cody Cambres had to do ranch work alone in the winter. However, he had a standing order with an employment agency for an employee. One winter he was surprised to get a call saying a man would be on the bus that evening. 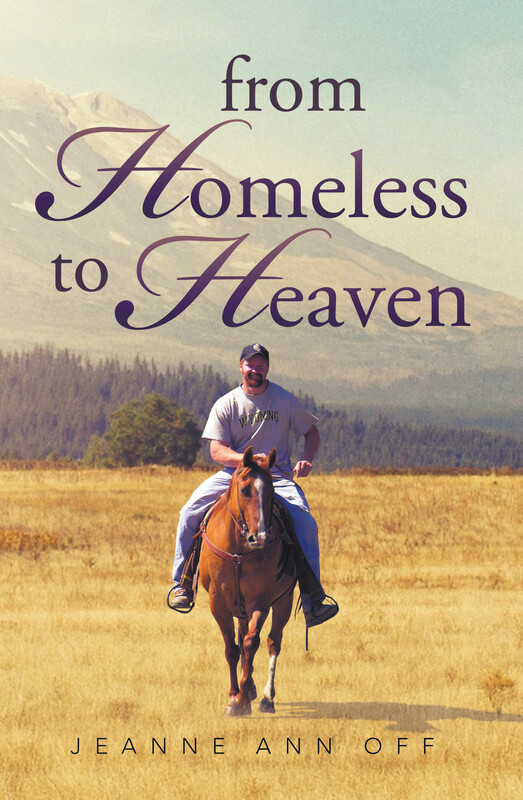 Alan told Cody that he wanted a job and a warm place to sleep instead of living outdoors as a homeless man. Alan had refused to stay in any mission shelter because of life experiences involving religion. He does enjoy ranch work. In the spring Cody and Alan are checking cows and the calves born that spring when a bullet hits Alan. Later a bullet from the same rifle kills Cody’s best horse. Fire begins on Cody’s ranch and spreads. Aimi’s house burns down and Aimi’s husband is murdered by a bullet from the same rifle. Alan helps both Cody and Aimi with ranch work. 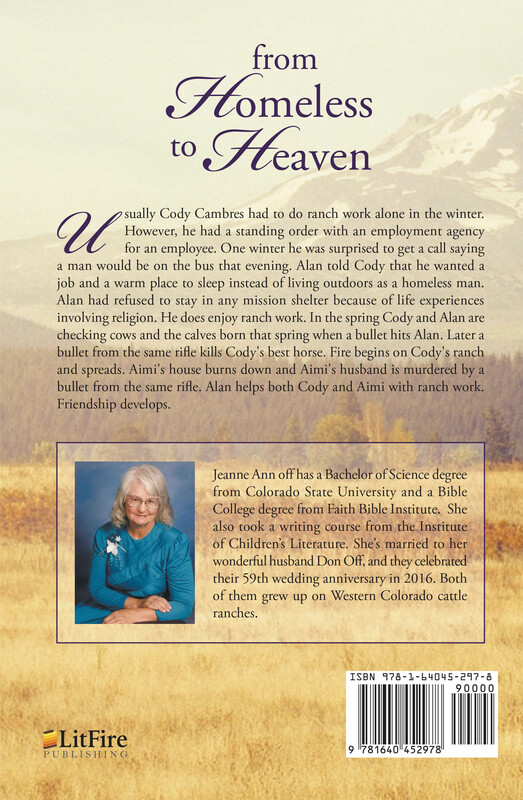 Jeanne Ann off has a Bachelor of Science degree from Colorado State University and a Bible College degree from Faith Bible Institute. She also took a writing course from the Institute of Children’s Literature. She’s married to her wonderful husband Don Off, and they celebrated their 59th wedding anniversary in 2016. Both of them grew up on Western Colorado cattle ranches.